As I explained last week, I am representing the Rural Sociology Group in a case study summer programme organized by Can Tho University’s Mekong Delta Development Research Institute. 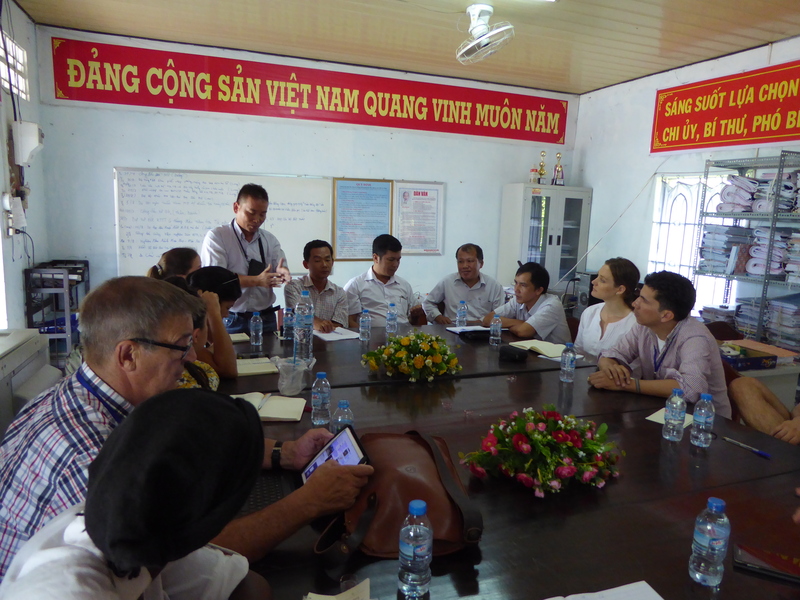 On Friday, August 7th, the Case Study group visited two areas in the Soc Trang province of Vietnam. The first stop was a visit to a district office of the Ministry of Agriculture and Rural Development. Here, students and staff were able to ask officials questions related to their selected research topics and interests. 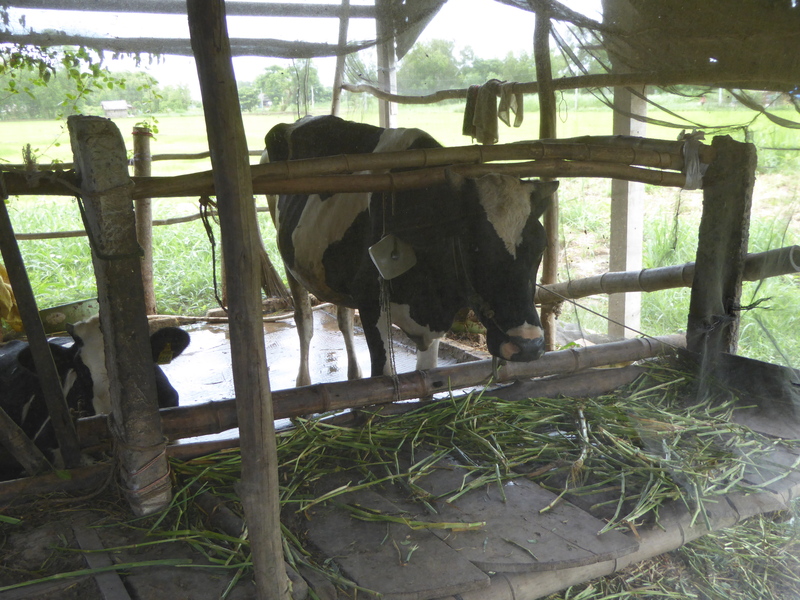 One policy initiative we learnt about was a plan to increase the number of dairy cows in rural areas as a poverty reduction strategy. This programme stems from the national Agricultural Restructuring Plan where key crops and animals were identified, dairy cows being one of them. 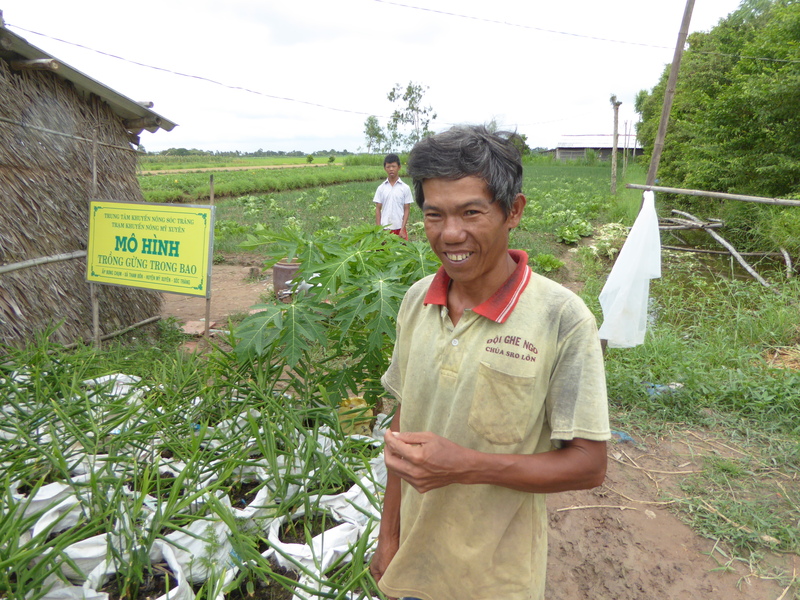 From there we moved to My Xuyen district where food production is centred on upland crops. We visited two farms here. 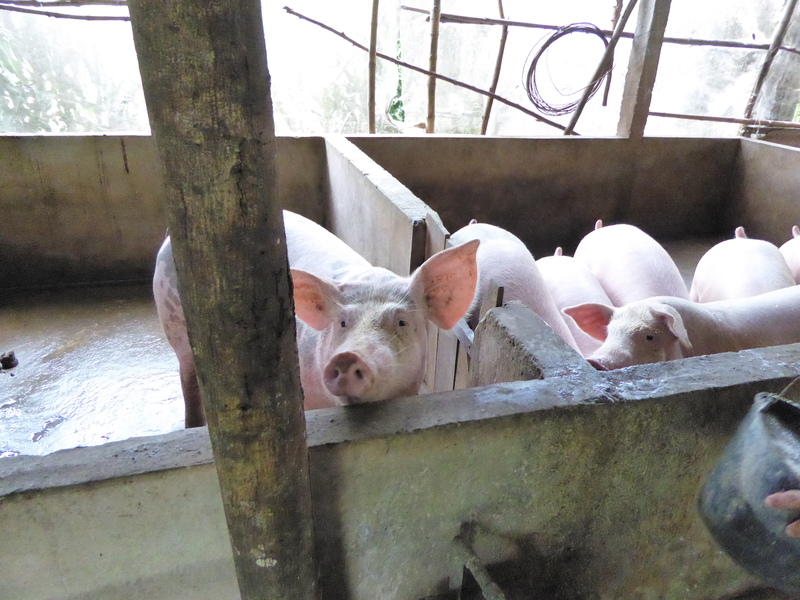 The first had cows and pigs and were producing bio gas. In this family, the husband undertook farm labour and the wife worked a government job. The second farm we visited had rice and vegetables. They were also a demonstration site, growing ginger in bags for the market. Here again the husband did the bulk of the farm work and the wife had a small side-business selling food. They had three dairy cows which were newly acquired when the farmer recognised the potential for a better return on investment, switching from beef to dairy. The village has a central collection point for milk. This milk is then taken to a cooperative which then sells the milk to processors. 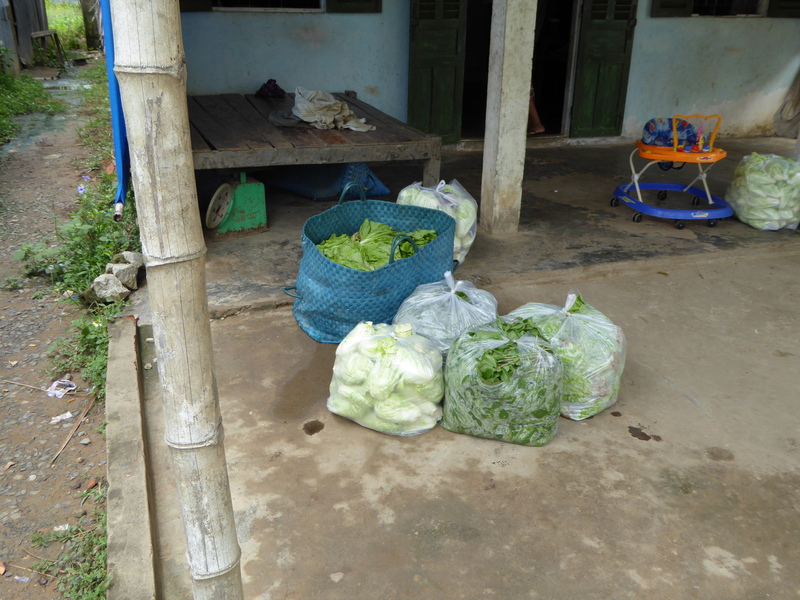 Vegetables packed and ready for the market. From My Xuyen we moved by Vinh Chau which is closer to the sea. En route we were able to see shrimp farms lining both sides of the highway. Once on the farm we visited a mangrove site that GIZ (German Development Agency) was helping local farmers collectively protect and manage. 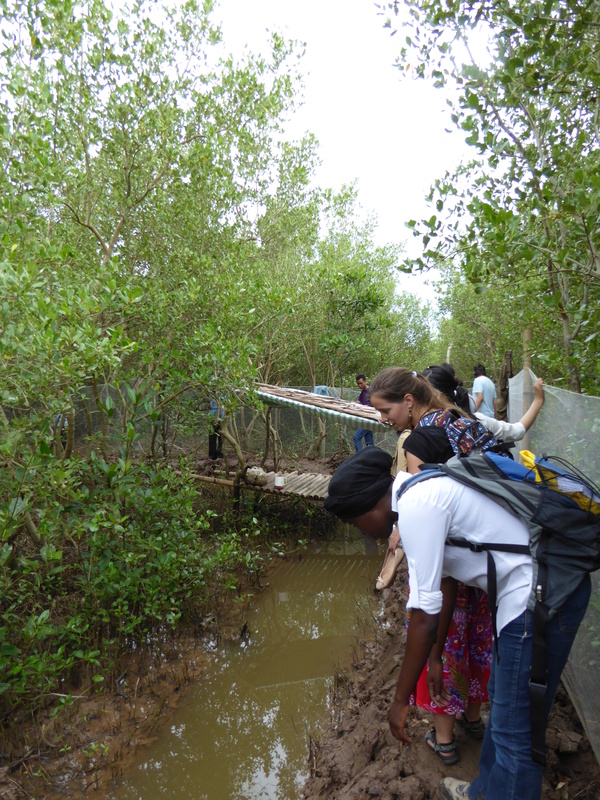 We had a muddy and precarious walk into the mangrove forest and saw the snails that were introduced to provide another income for local farmers. 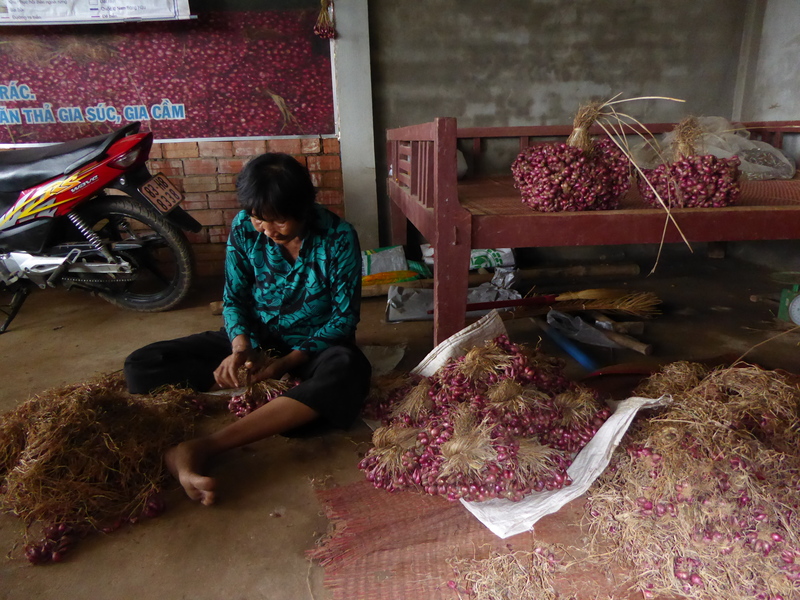 We also saw women preparing onions for future seeds. Students visit the mangroves. No one fell in the mud, but it was close! 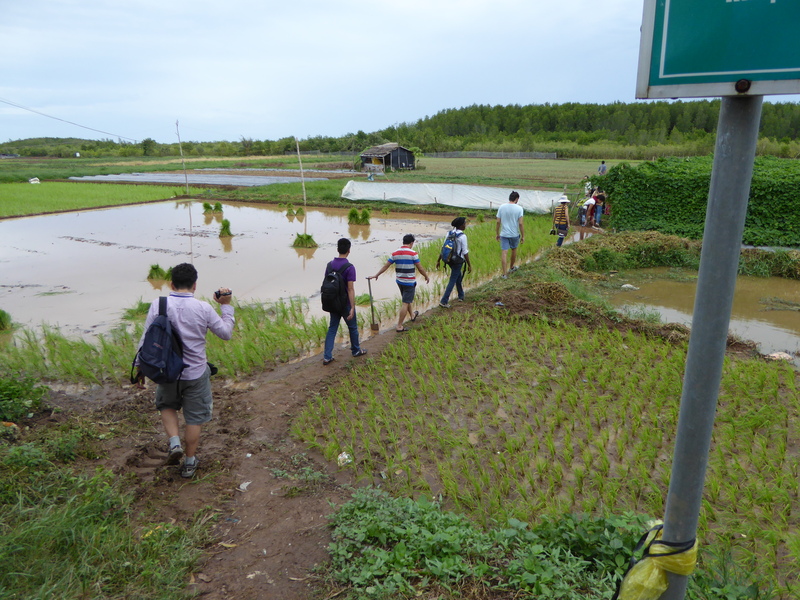 It was a wonderful and informative day that provided a lot of insight into the farming systems, opportunities and challenges in a rural province of the Mekong Delta. Posted on August 11, 2015 August 11, 2015 by foodgovernancePosted in EnvironmentTagged agriculture agriculture, Asia, Students. Next Next post: Essay competition to express innovative solutions and ideas on extensive livestock! Reblogged this on Rural Sociology Wageningen University. Surprised to that much you have observed in one week. 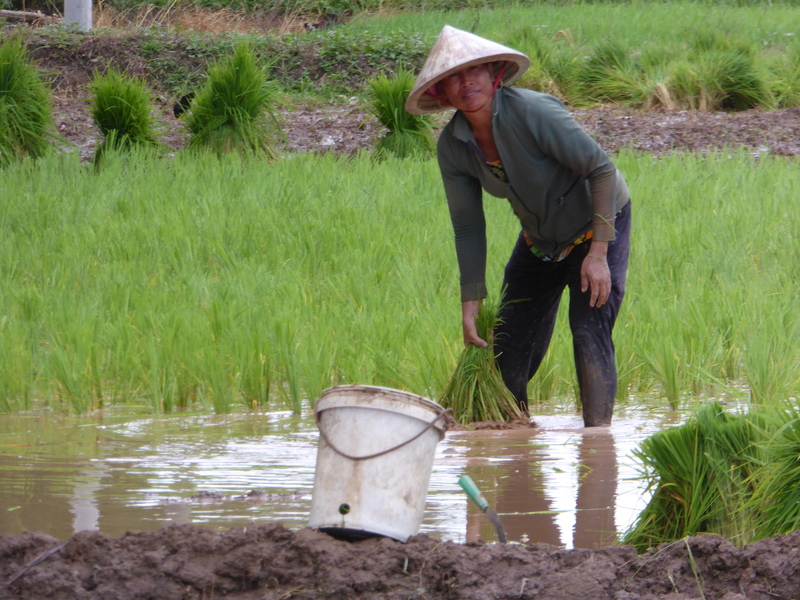 It makes me like the program as well, I did not see Soc Trang that much while studying and practicing the agronomy BSc. I am now curious to hear your comments and thoughts about that agricultural and rural situation.